This post is a few days late, but due to my children having a cold at the time, I was not keen to fill them up on sweet treats, even if it was ANZAC Day. 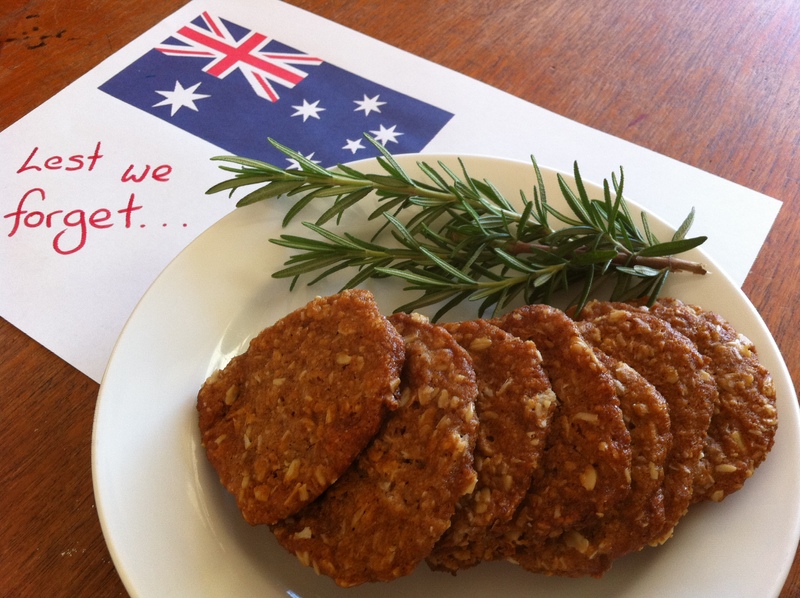 So, today (before April disappears), we officially pay tribute in our own quiet way to the ANZACs with a vegan ANZAC biscuit recipe…..
Whilst the rest of the nation is out and about attending the celebrations, that begin with a commemorative dawn service held at the time the troops landed all those years ago on the sands Gallipoli. Then later in the day, watching the marches that are held in towns and cities all over the country to pay tribute to all service women and men. 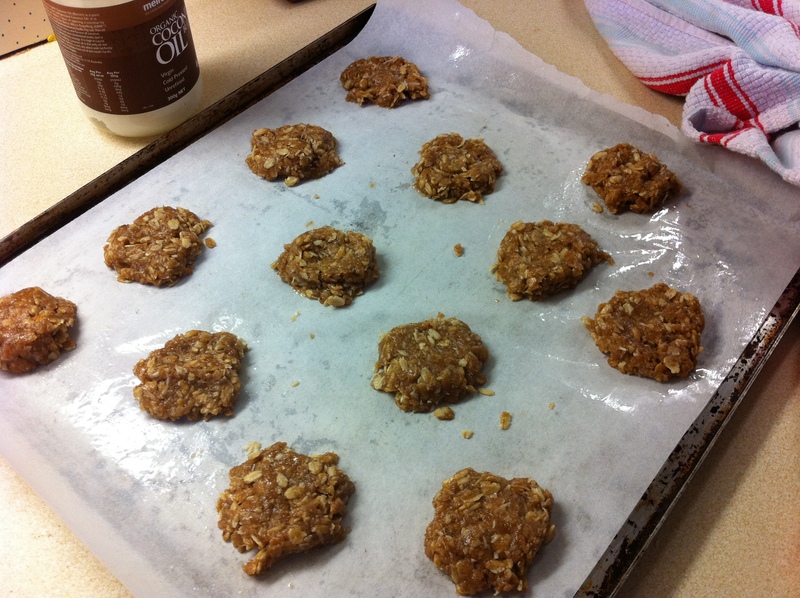 And finally attending lunches and games of “Two-Up“; here at home we like to bake ANZAC biscuits. “Why do you bake biscuits?”, I hear you ask. The significance of this humble biscuit comes from their very good keeping properties. Families at home would back these biscuits to send to their loved ones who were off fighting the war, as a special reminder of home. 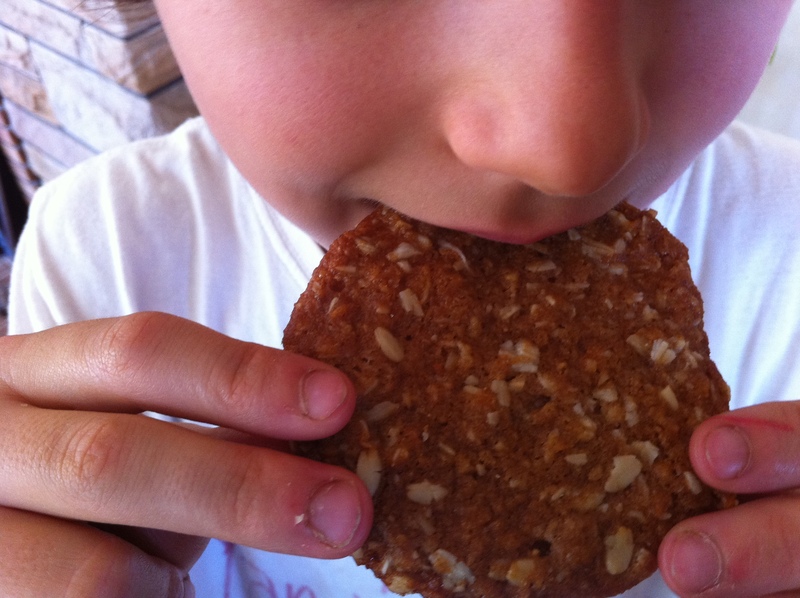 Thus the name “ANZAC Biscuit”. Place all dry indigence into a large bowl and combine well, set aside. To this, add the water and bicarb soda and gently whisk with a fork. The mixture will froth. Pour the frothy liquid into the dry ingredients and combine well. Dollop walnut sized spoonfuls of mixture onto a cookie tray covered with baking paper and flatten slightly with the back of a spoon. Leave enough space between each biscuit, as they will spread as they cook. 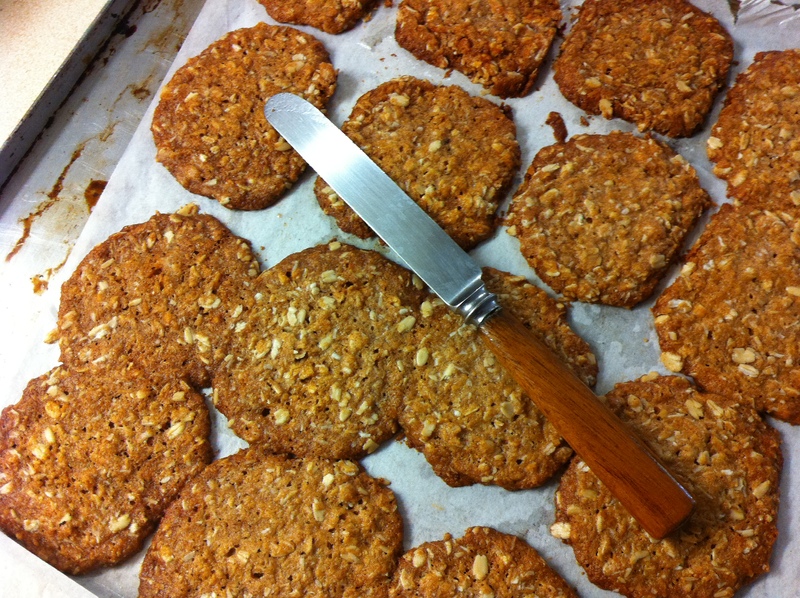 If there has not been enough space and the biscuits are stuck together, it is really easy to re-shape them with a knife while they are still hot. Then, leave them to cool on the tray until they are firm enough to transfer to a cooling rack. They will harden as they cool. Makes about 30 biscuits.